Ryan Adams is the heartbreak kid. With his 16th studio album, Prisoner, Adams outlines heartbreak and the confusing and frustrating roller coaster of divorce. Prisoner is a country, alt-rock lament for lost love. Adams combines both acoustic and electric guitar, but with softer electric intrusions than his other metal, punk rock tendencies. In 2015, Adams covered the entirety of 1989 by Taylor Swift, and has seemingly taken to her approach: Use an entire album to process one heartbreak and one person. 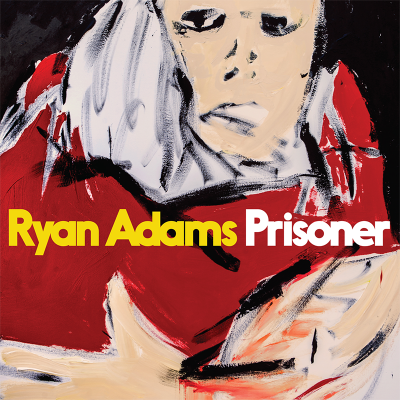 It’s a depressing release, but Prisoner is a vulnerable, 12-track personal depiction of Adams’ real heartbreak. The album opens with “Do You Still Love Me?” an energetic display, with drawn-out electric notes and sudden, low and enthusiastic notes on the drums and guitar, representing an attempt to rally and mend the relationship. Adams repeats “Do you still love me, babe” over and over, seeking to salvage the relationship, alluding to the denial stages in a breakup. A heavy electric solo in the latter half of the song may represent Adams’ realization that the love is broken beyond repair. Adams instrumentally portrays the break-up process in “Haunted House”: simultaneously fast and slow-paced instruments express how sometimes things happen so fast, but the pain remains inevitably drawn out. Shifts from high to low notes represent the highs and lows that follow heartbreak, while slow, sudden kick drums often leave a knot in the stomach. Distant, happy-sounding electric chords allude to the haunting of distant and happy memories. Adams shows, even in the sadness, how our memory holds onto happy memories, only enslaving the prisoner with the idea and memory of love. “Shiver and Shake” is the nighttime sad song, as Adams sings of darkness and insomnia, wrestling with the mind in smoke and mirrors. Adams sings: “Midnight come, I can feel it in the air / I reach out for your hand but I know it isn’t there / I can barely sleep / I’ve been lying here awake / Close my eyes / See you with some guy / Laughing like you never even knew I was alive.” Each track is a lyrical elegy for love. The album ends with the track “We Disappear,” which is sounds like Adams accepted defeat, speaking of his heart: “I couldn’t fit it in my chest / So I wore it on my sleeve.” Just as Adams sings, “We disappear / We fade away,” the music fades away. There is no definitive end—just something that once was fading into nothing.